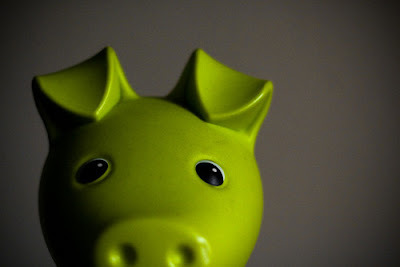 I think piggy banks are so cute. Not just cute, but functional. They are a great place to store change. They come in so many colors and designs, but maybe you perfer the original? This crystal one is so unique and perfect for any room. 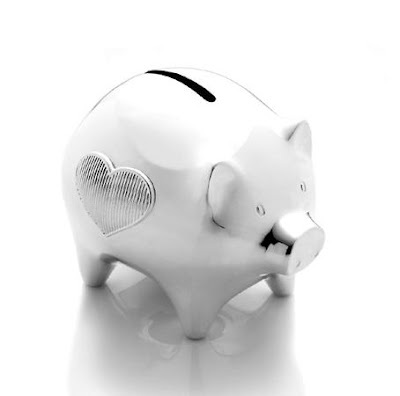 This one by Vera Wang, may be listed as a baby's piggy bank but I am in love with it. I would love to have this one in my room to save my change in, instead of the jar that I use. If you aren't crazy about your coin bank being shaped like a cute little piggy, they come in all kinds of shapes suitable for girls and boys of any age. Don't you think it is so cute when you see a little kid turning his piggy bank of change in at the bank? What do you store your change in at the end of the day? I'd totally get a piggy bank! 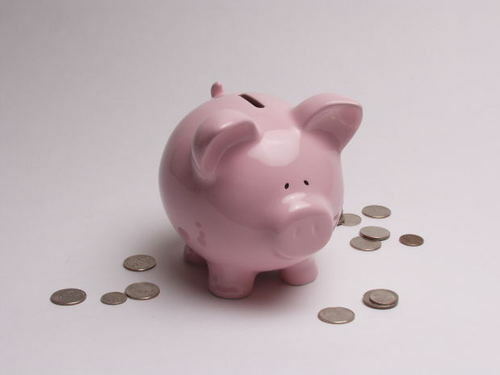 I have a huge coin purse that I lug my coins around with me - so I can remember to spend them! I have a white piggy bank with flower on it. So cute! I saw this polka dot one in a home decor store that I really want! 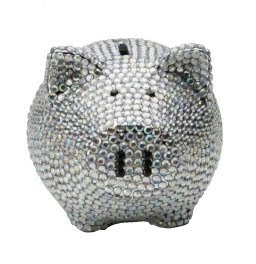 I have a crystal piggy bank in my room like the one in the photo! i used have a little piggy bank too! haha.